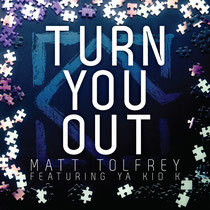 Leftroom boss Matt Tolfrey releases ‘Turn You Out’, featuring Technotronic vocalist Ya Kid K this month. 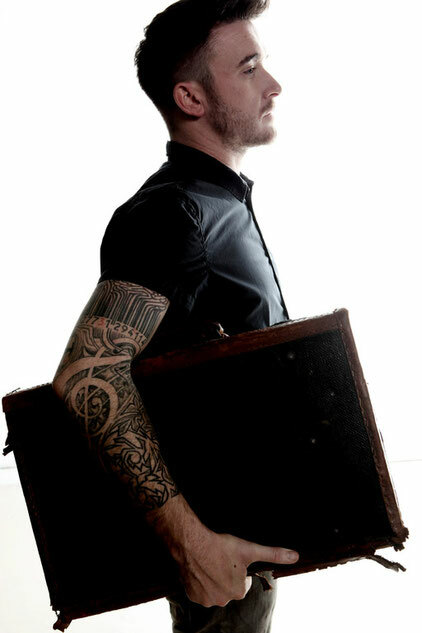 ‘Turn You Out’ is one of the key tracks from Matt Tolfrey’s forthcoming album, ‘Word Of Mouth’, due out on Leftroom in September 2012. Matt Tolfrey has earned himself a highly praised status among his peers in the industry, developing as a well-respected DJ and label owner. Having birthed and established Leftroom to over 30 releases strong, from reputable artists such as Laura Jones, Kate Simko, Jay Haze and Gavin Herlihy, Matt has now decided the Leftroom imprint is the perfect home for his debut LP ‘Word Of Mouth’ from which ‘Turn You Out’ is taken. The release opens with the original mix of ‘Turn You Out’, featuring Ya Kid K. Matt was influenced by late-80s anthem ‘Pump Up The Jam’ during his youth, so Ya Kid K was an instantaneous choice when deciding which vocalists to collaborate with on his album, Matt also sprinkles touches of his own voice on the track adding a further personal touch. The track embodies solid drum programming with crisp hats, crunchy claps and an infectious swing. A short sharp hooky bassline acts as the driving force for its duration, whilst an electric piano sequence and Rhodes licks create classy, elegant house music. Ya Kid K’s vocal characteristics sprinkle old-school flavourings on the composition and are structured to maintain a flourishing dynamism and movement throughout the track. Our 30th July.